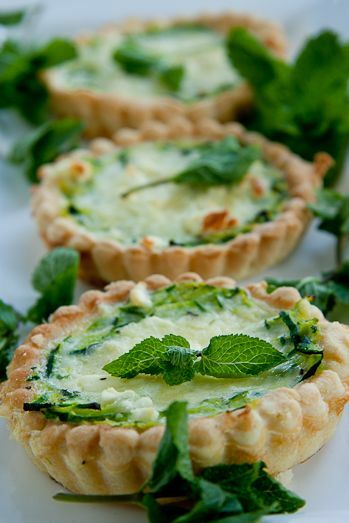 This week’s recipe is for Zucchini, Feta and Mint Quiche. And if your husband is anything like mine, he’ll turn his nose up to the Mint but I just went along with it anyway. The combination is beyond delicious and just the thing for hot Summer nights. Served with a side salad of lettuce, calamata olives and avocado, this is a stunning meal. I made 8 mini quiches but the same mixture will be perfect for one large quiche as well. And it actually tastes even better the next day so be sure to keep a piece for lunch! !